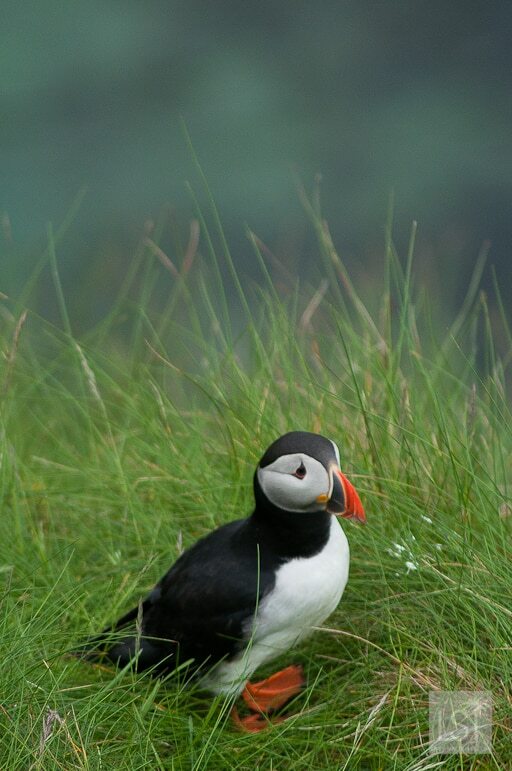 “Somebody watch the road while I look for sea eagles, will you?” asked our Mull coach driver. A titter of laughter rippled through our coach, and not for the first time on this gentle, jovial journey from the west coast of Scotland. 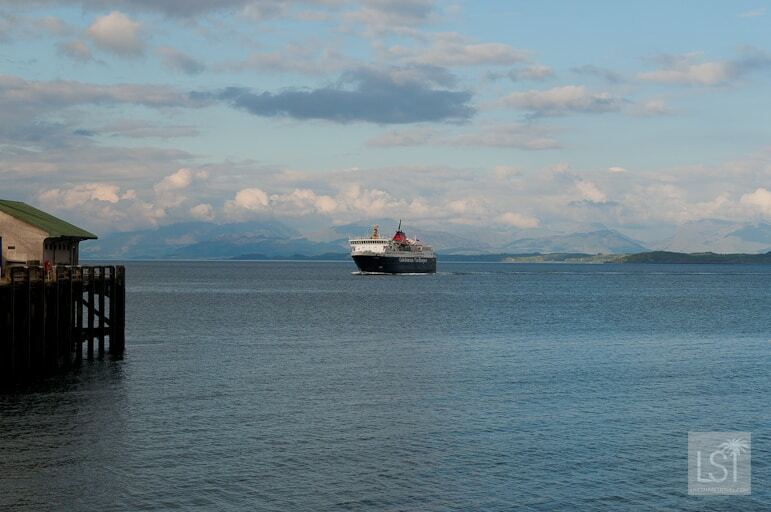 We had arrived in Mull after taking a Caledonian MacBrayne (Calmac) ferry across the Firth of Lorn for a three island tour. 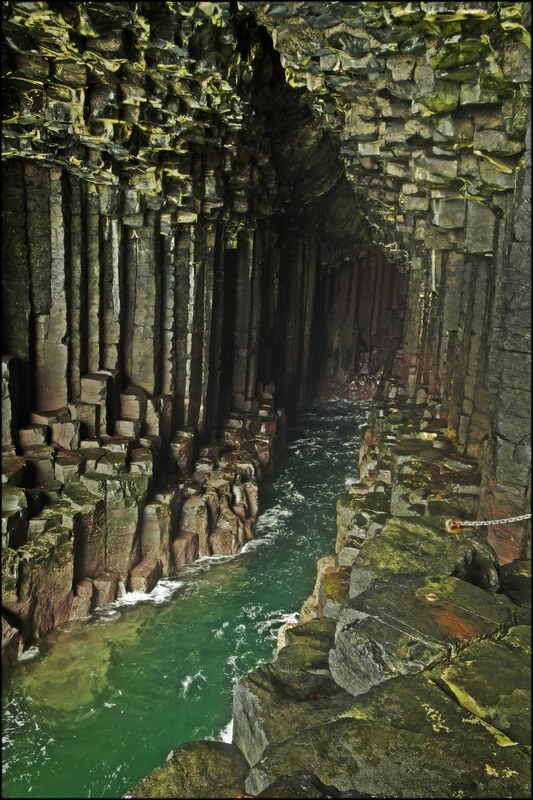 The trip would take in the Isle of Mull, the puffins of Staffa Island and the stepped rock formation of Fingal’s Cave, plus the island of Iona. This was an island I wasn’t familiar with, but was keen to see after being informed about its beautiful beaches. 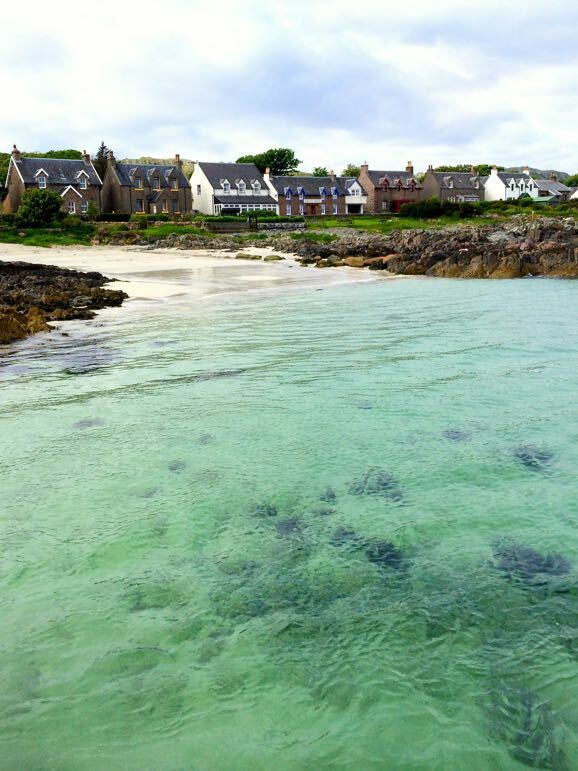 Surely there weren’t really great beaches in Scotland, I’d mused. 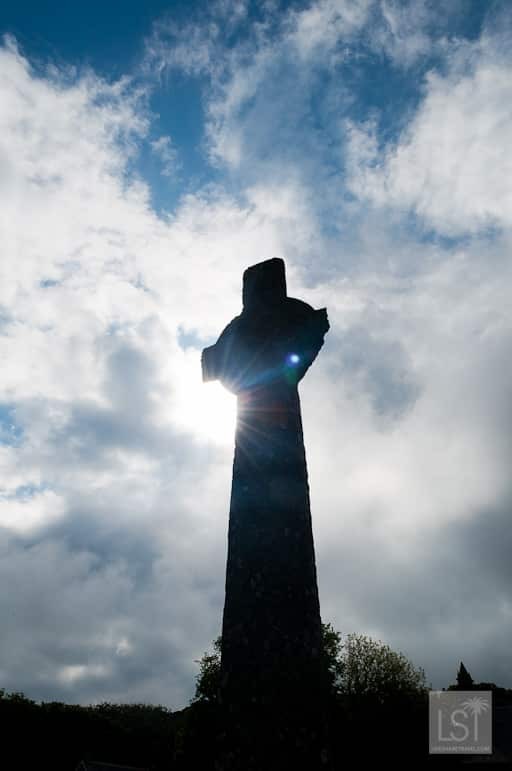 But western Scotland had already revealed many surprises to me, not only in its innate and tranquil beauty, but in the way the weather changed the light in just minutes, completely transforming the landscape, and with its warm culture, and very hospitable people. So as we sailed out of Oban in dazzling sunshine I prepared to be righted by Iona, and the other islands on our day trip. Thirty five minutes or so later, we docked at Craignure on the Isle of Mull and hopped onto a coach with our driver, Steve. 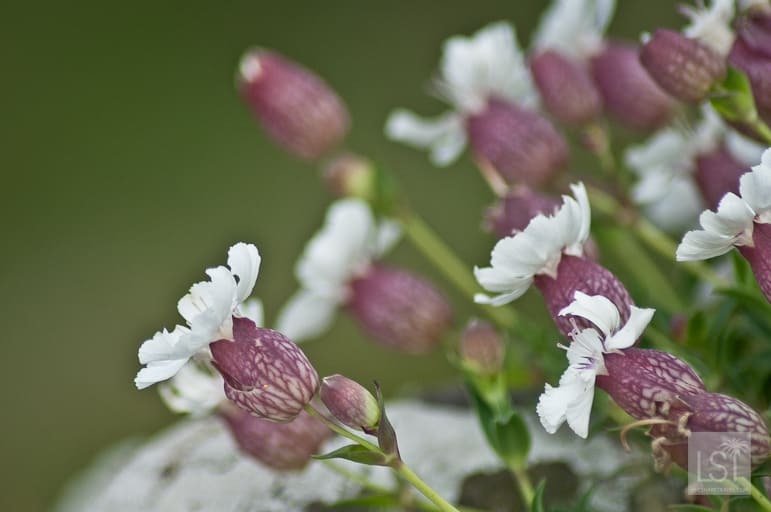 If there was one thing I found disappointing about the trip it would be the section on Mull. Not that Steve wasn’t the most entertaining driver I’d ever had the pleasure to take a journey with. He had a warmth and gentle accent, reflecting the nature of the island and its people. But we had nearly an hour’s drive across the island. 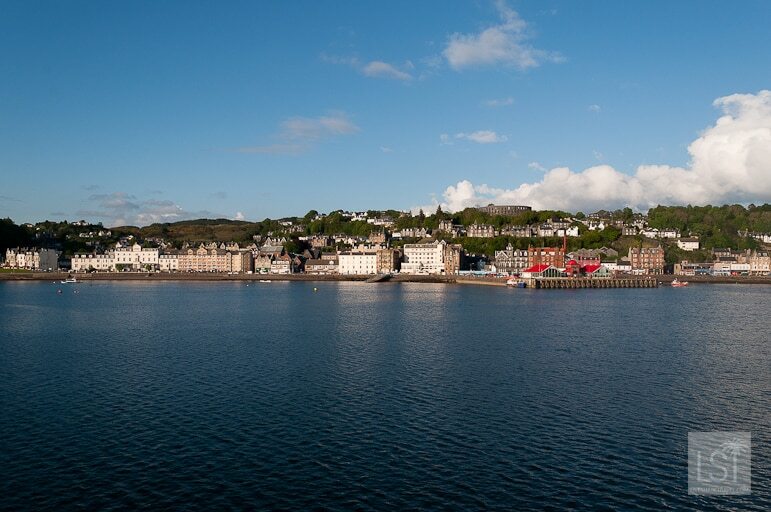 Call it a tour if you will, but our time was spent on the bus journeying from one port right across Mull’s heart, to the other. I longed to get off and explore. 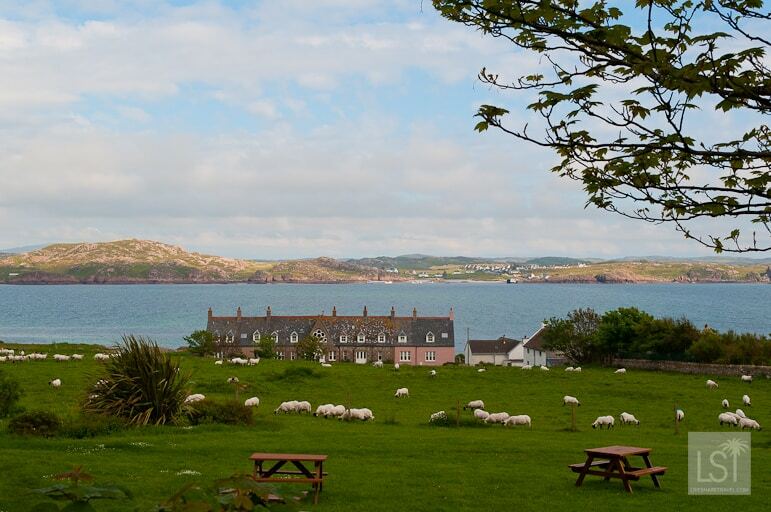 Wander the heather-lined hillsides, spot its wildlife like golden sea eagles and pop into a pub or two to take in local life. Western Scotland had already revealed many spectacular spots. 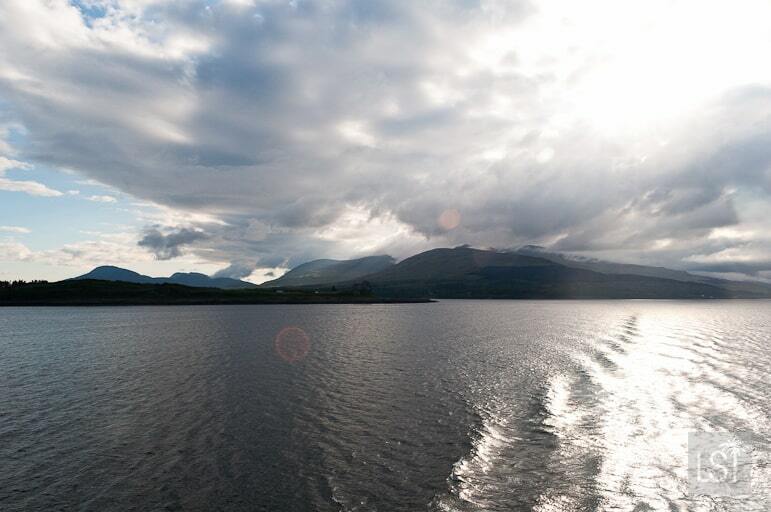 But Mull’s interior is the stuff of legend – a land so evocative it wouldn’t seem out of place in Games of Thrones. It’s a place that evolves in your mind, its wild solitude connecting deep with your soul. It begs you to stay a while, perhaps just an afternoon, but enough to get to know it better. 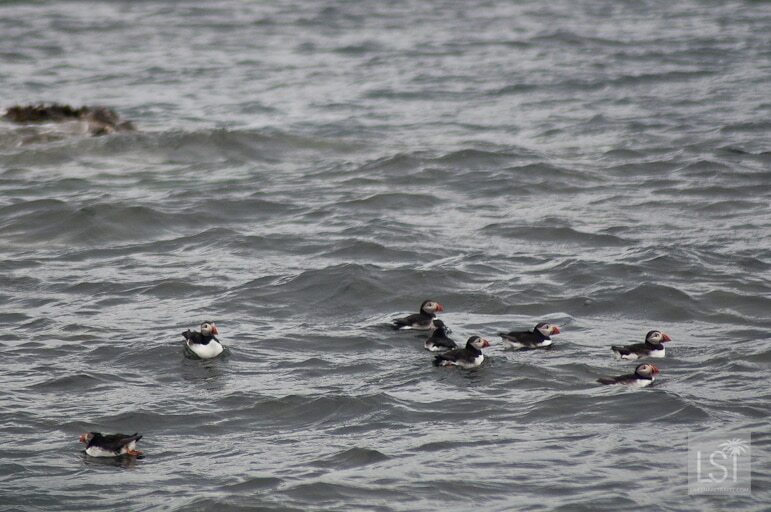 Soon though we were at the port of Fionnphort, boarding a boat for the short sailing to Staffa Island, to mingle with its puffins. By this time the weather had closed in and our boat waddled on the tide like a duck on a seesaw. 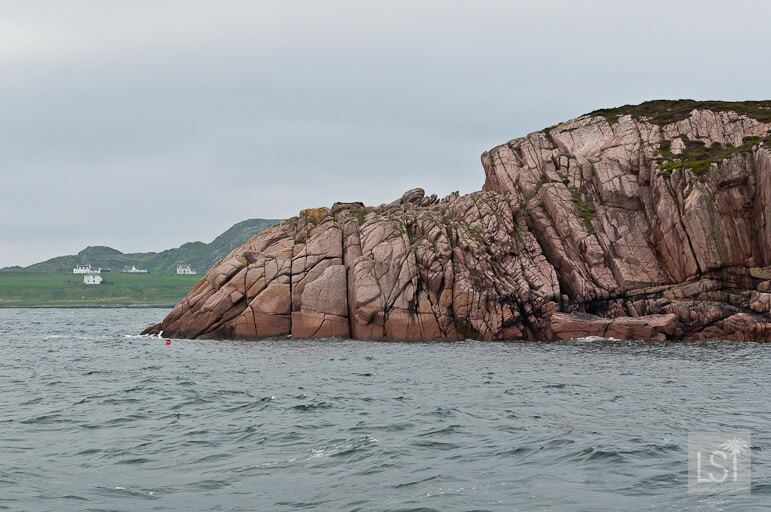 But it wasn’t a rough journey but it made photographing the common and grey seals that we passed a little challenging. Heading to Iona we passed Mull’s craggy coastline once more on the left, and then gradually on the right of the boat we began to see long strands of yellowish-white as Iona came into view. 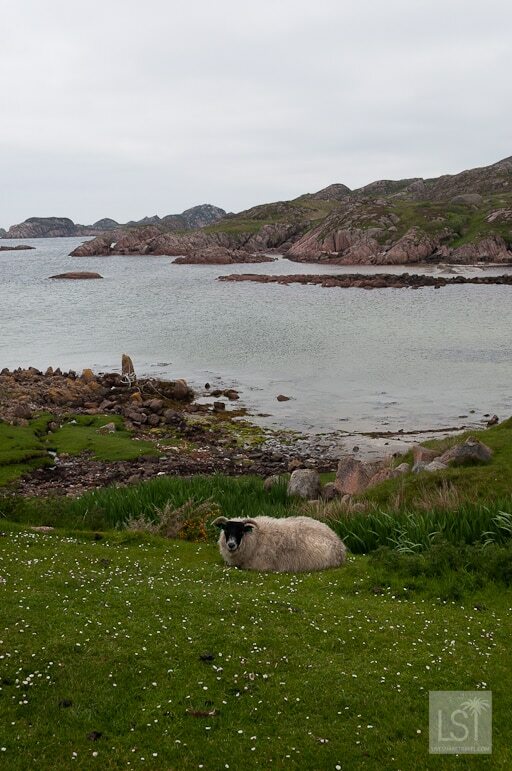 Green pastures rolled into the charcoal of craggy rock, and in between it yellow-white sand gently shelved into the sea. 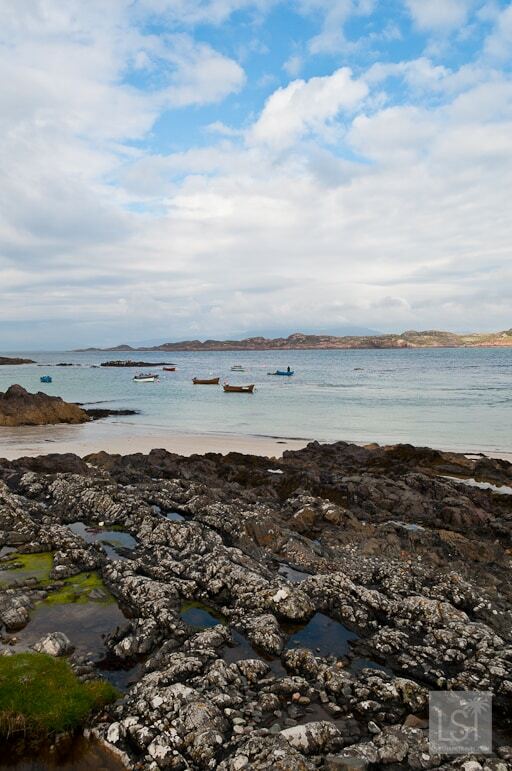 Where the sea met these delightful coves, Scotland did its very best impression of The Bahamas. 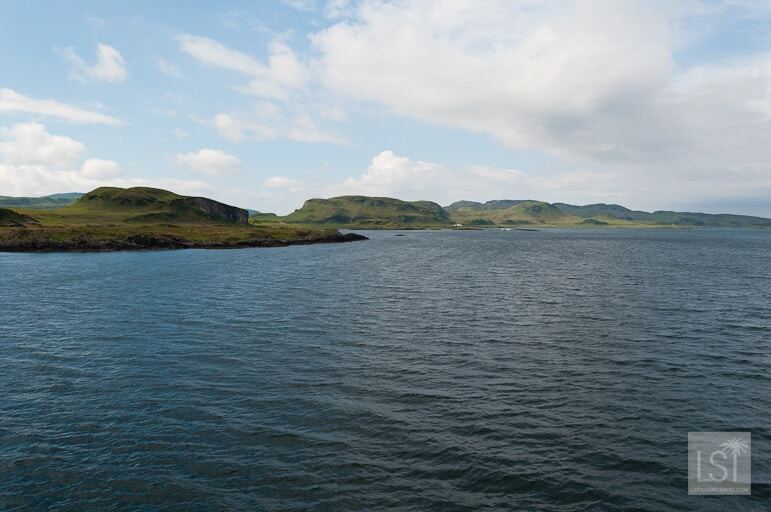 The sea was clear, it glinted degrees of aquamarine, and as we neared the harbour at Baile Mòr we could see small shoals of fish flitting through the water. I could barely believe my eyes. Scotland had done it again – showing me yet more of its diverse character and unexpected attractions. 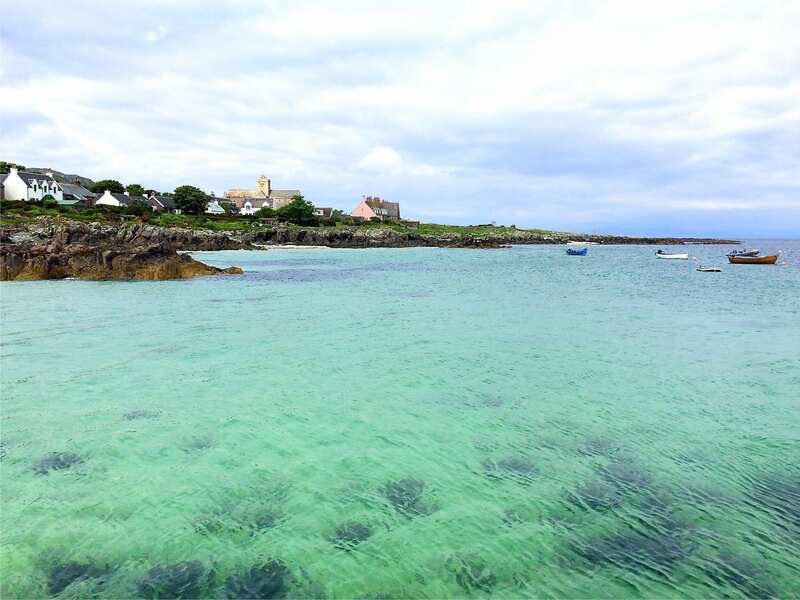 This time, an aquamarine sea I longed to swim in. 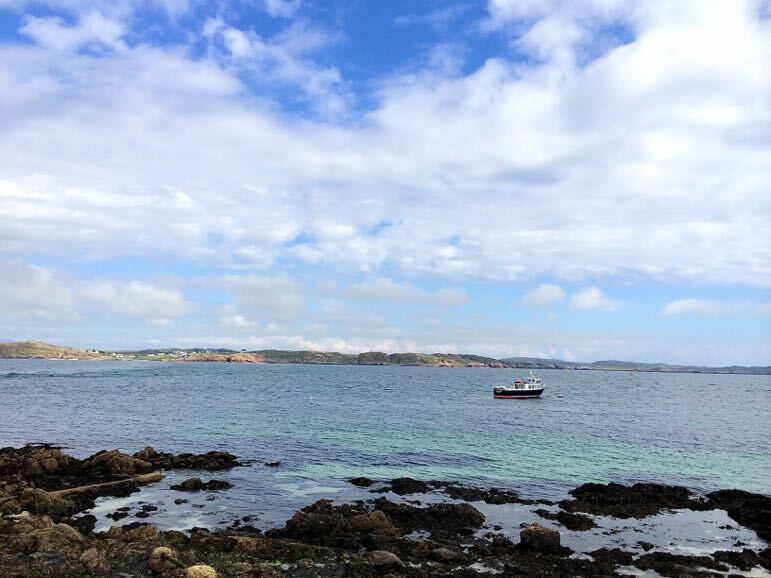 And I wasn’t alone – it was May, so not the height of the Scottish summer and yet people paddled, waded and the bravest took a dip in the enigmatic blue. Dogs too got a piece of the action, jumping through waves to chase down sticks, and rolling in the sand to take a little of Iona home. 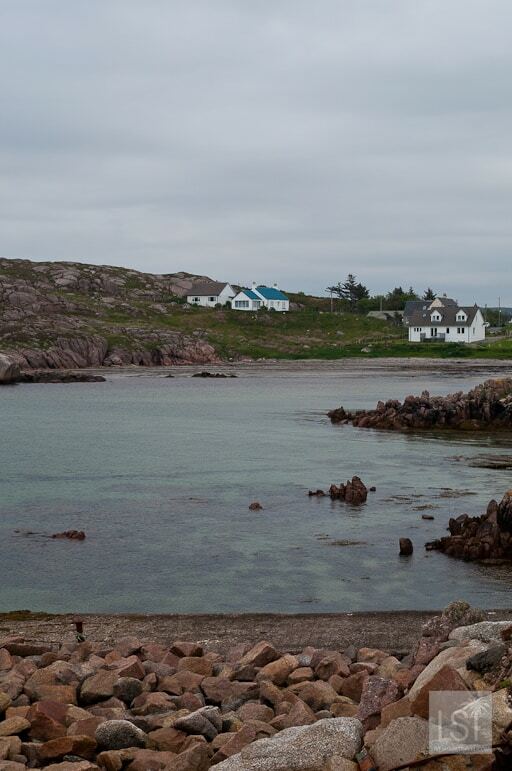 I couldn’t blame them – I too wanted to take the calm and peace of Iona home. 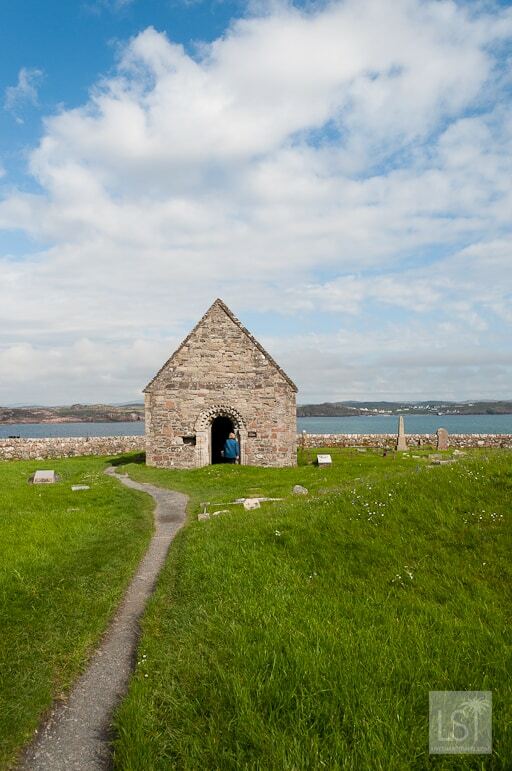 And Iona’s attractions didn’t even end there – for an island just three miles long by one-and-a-half miles wide it packed a punch with interesting attractions. 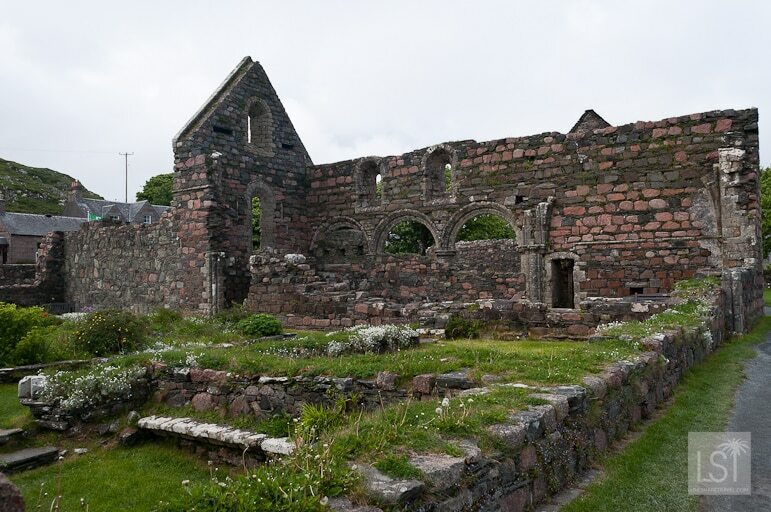 There were the evocative ruins of Iona Nunnery – a former Benedictine convent, established in 1203. 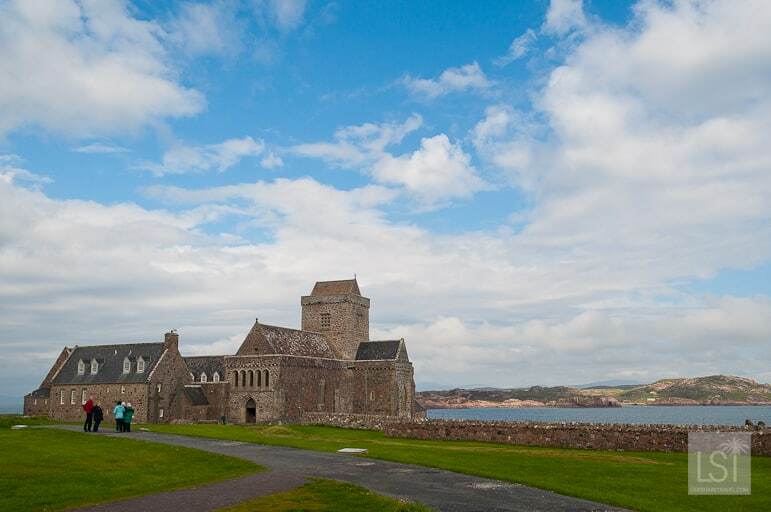 Then Iona Abbey first built by St Columba and his followers in wood, wattle and daub, and rebuilt in grey stone in 1200. 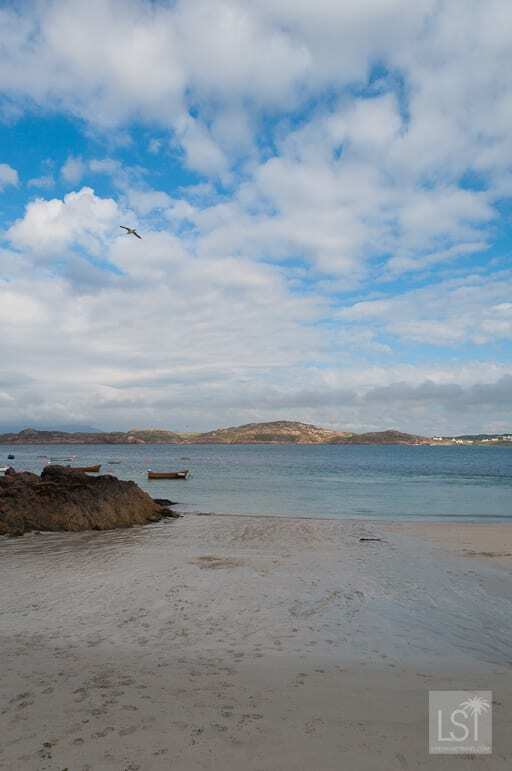 It’s a standout attraction in ‘The Village‘, the familiar name by which locals refer to Baile Mòr. I’m a city girl, a born and bred Londoner, and like any urbanite the idea of a population centre merely called The Village confuses as much as unnerves me. “Really, is that all there is here? One tiny village!” a voice jarred inside me. 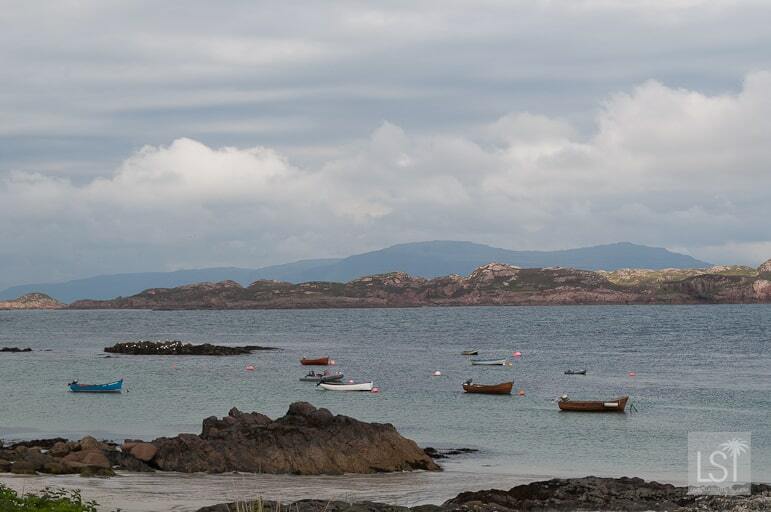 Yet Iona’s hush hooked me in and I found myself longing to spend more time there, to become an island recluse. But I had to leave, first returning by ferry to the relative rush of Oban, before retiring to our equally peaceful home for the week, Melfort Village, beside sweeping Loch Melfort. But my exploration of the secluded Scottish Hebrides didn’t end there – look out for part two of this story, exploring the Slate Islands. 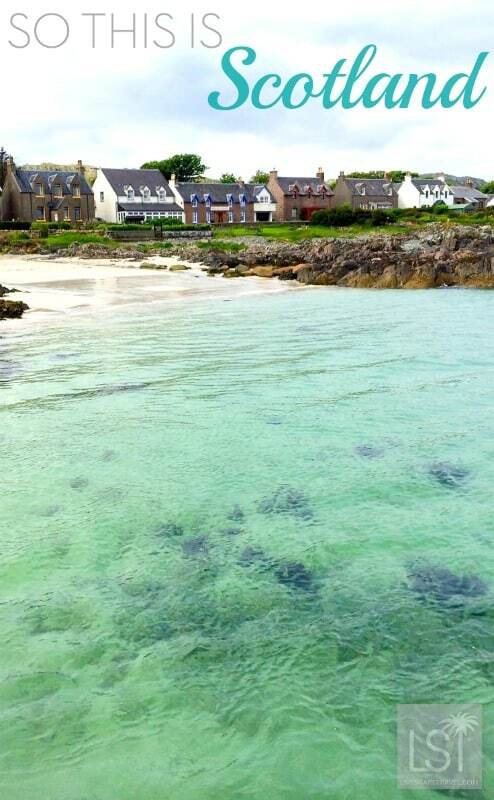 Read more about Melfort Village and this part of the west coast of Scotland.